LONDON, 16 APRIL - Recording and analysing data on the casualties of conflict and armed violence can improve the protection of civilians and save lives. This is the conclusion of two reports released today by Action on Armed Violence (AOAV) and the Every Casualty Programme at Oxford Research Group (ORG). The reports, Counting The Cost: Casualty Recording Practices and Realities Around the World (AOAV) and The UN and Casualty Recording: Good Practice and the Need for Action (ORG) reveal that the rigorous, transparent and routine recording of deaths and injuries of armed violence, by both states and the United Nations, can improve humanitarian responses, allow for redress for victims, and reduce civilian casualties in conflicts. They do so by providing critical data that can result in action from conflict parties and others to protect civilians. The research also shows that despite the evidenced benefits of such, neither the UN, nor most states, systematically record the casualties of armed violence. Where states systematically record deaths and injuries of armed violence, the research demonstrates they are better able to support victims’ rights with, for instance, compensation and redress. 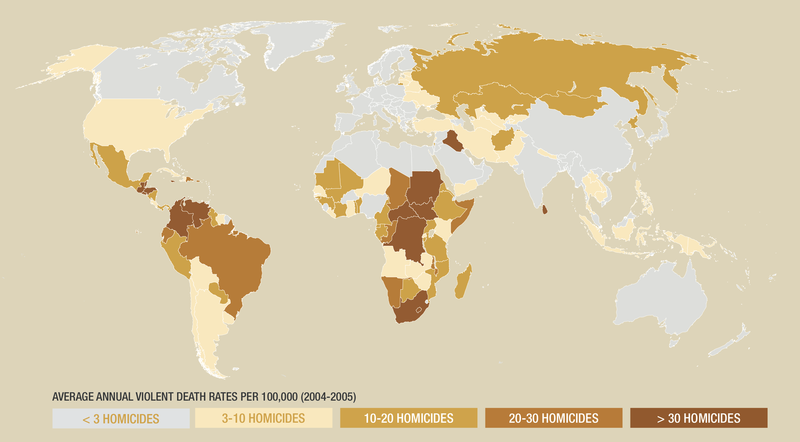 They are also able to reduce incidences of armed violence, particularly gun violence. In the Colombian city of Cali, for example, homicide rates dropped by 14 per cent partly as a consequence of the government using data on casualties from gun violence to help create evidence-based legislation. A lack of political will is often cited as the main deterrent to collecting comprehensive information on the casualties of violence. Other challenges include limited resources and lack of access. States and the UN should take steps to overcome these limitations, and should work towards introducing and applying casualty-recording standards, developing casualty data management systems, and increasing their monitoring of both deaths and injuries from armed violence. AOAV and ORG understand ‘casualties’ to include both individual deaths and injuries directly resulting from armed violence. ‘Casualty recording’ strives to achieve the comprehensive, systematic and continuous documentation of individual casualties from armed violence. AOAV’s report draws on research and interviews with local actors from 33 institutions recording the casualties of armed violence in the following countries: Colombia, Indonesia, Liberia, Mexico, the Philippines, Thailand, Brazil, Burundi, the former Yugoslavia, Guatemala, Iraq, Jamaica, Nigeria, Somalia, the UK, the USA and Venezuela. ORG investigated practice and perspectives on casualty recording within the United Nations. ORG interviewed 24 UN staff working for different agencies and offices in New York and Geneva. ORG also undertook a case study of the UN Assistance Mission to Afghanistan (UNAMA), for which 13 individuals within and outside UNAMA were interviewed. Serena Olgiati is the Head of Advocacy at Action on Armed Violence. Action on Armed Violence (AOAV) is a UK-based charity that works to reduce the incidence of armed violence and its impact on vulnerable populations around the world. AOAV has a successful track record in developing international law, global civil society networks, and local programmes for weapon control, armed violence reduction and civilian protection. The benefits of casualty recording documented by this major study range from informing political action and the development of programmes to address armed violence, to supporting violence reduction, victims' rights, and accountability. Recommendations emerging from AOAV and ORG's research include that political commitment on casualty recording needs to be strengthened among states, and practice should be developed within the UN system. When recording casualties: injuries should be recorded as well as deaths; a comprehensive scope should be adopted; recorders should take advantage of technological advances; standards in data should be developed and applied; and the purpose and uses of data should be determined in advance to ensure the realisation of benefits. Today, Action on Armed Violence (AOAV) and Oxford Research Group (AOAV), members of the Every Casualty Campaign are launching two major new reports assessing state and UN practices in casualty recording, in a launch event hosted at the Canadian Mission to Geneva. Casualty recording is gaining increased recognition by states, UN experts and civil society organisations worldwide as a practice that can help save lives. In his last report on the Protection of Civilians, the UN Secretary-General raised this agenda and made a recommendation to establish a UN-wide mechanism to record civilian casualties as part of an effort to improve human rights monitoring. In response to request by the Group of Friends on the protection of civilians for an overview of existing practice in casualty recording, AOAV and ORG undertook this research to address the gap in knowledge about state and UN practice. ORG previously undertook research into the casualty recording practice of forty organisations, who were predominantly NGOs.